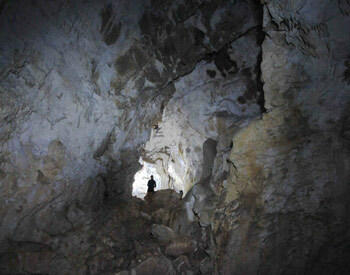 A system of three unspoilt caves, with glow worms and stalactites, right on our doorstep. If you really want to feel like you are the first adventurer to ever set foot in a cave, this is the place to go. Undeveloped and unmanned, you’re on your own, and it’s free! Make sure someone knows where you are and what time you’re due back. Not recommended to go by yourself. Need a moderate level of fitness and prepare to get wet, but great fun! You will need good sturdy shoes, torch and preferably a helmet of some kind!